Remember this? I posted this on my blog page a couple of weeks ago. 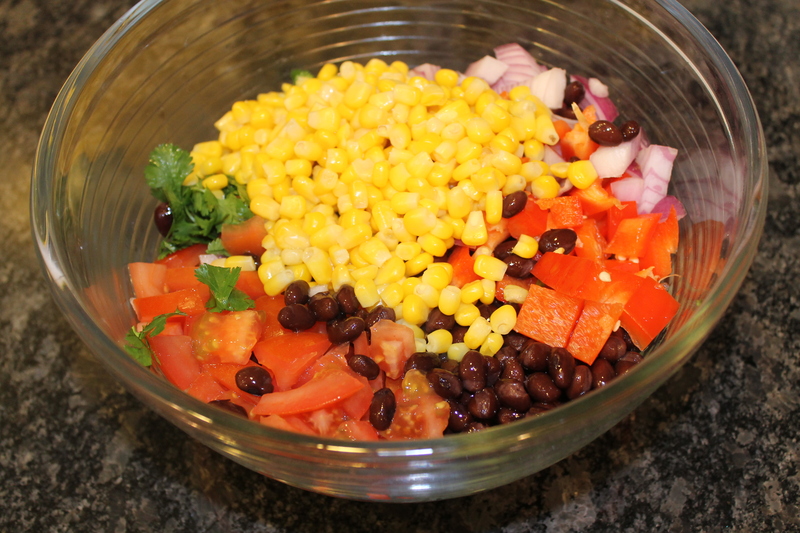 It’s one of my favorite, nutrient packed salads. 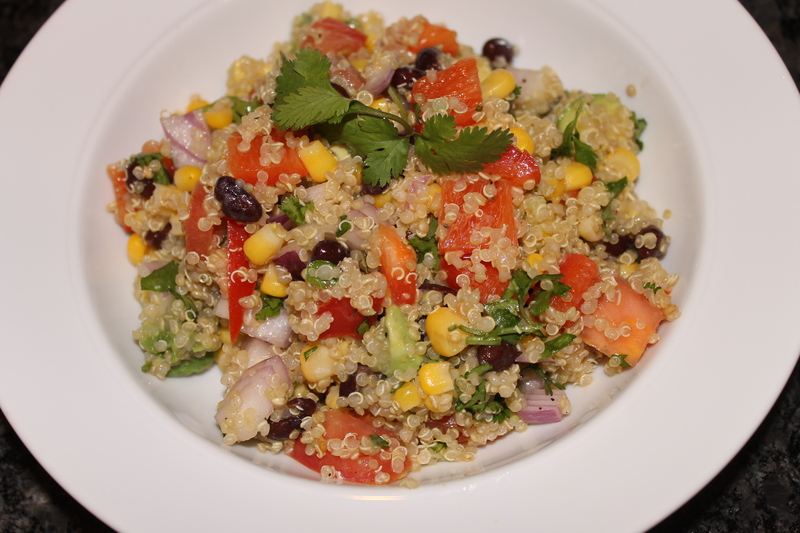 Quinoa is a great rice or pasta substitute. You can eat alot and not feel extremely bloated afterwards. Sound familiar? You can choose any ingredients that you like or take any away that you dislike. Minimal time and it’s ready to serve in a matter of minutes. Cook the quinoa separate. 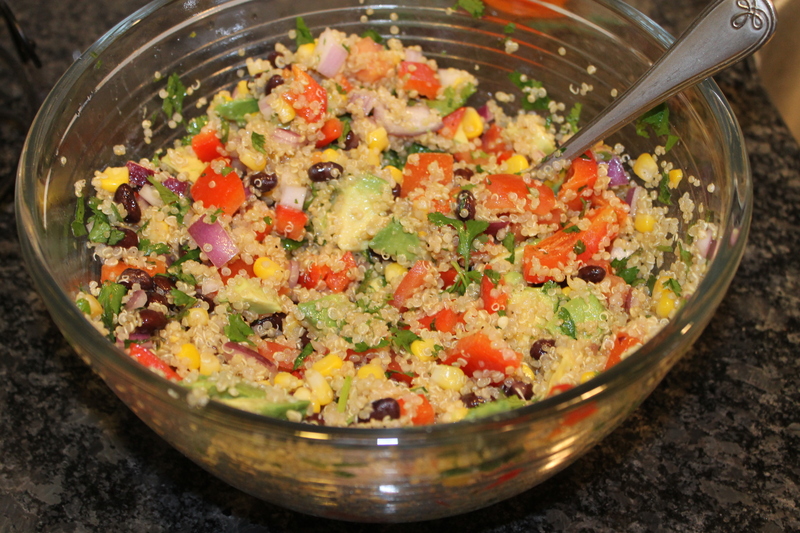 For every 1 cup of quinoa use 2 cups of water (or chicken broth for extra flavor.) 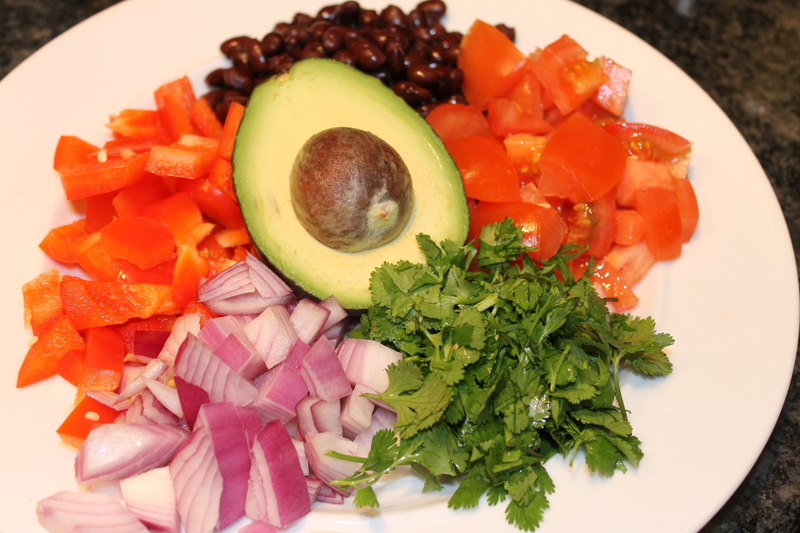 Dice up all your preferred veggies and cilantro. I use all raw ingredients but you can cook as well if you like. I mix the veggies + quinoa together and mix a little bit of olive oil. I use about 2 limes, and flavor with salt and pepper. Remember- easy with the salt (it’s easy to get carried away but we are so used to it we don’t even think twice.) If you aren’t vegetarian- organic chicken is always an option to add for extra protein. This can be served warm or store in the fridge until ready to serve (It tastes great both ways.) This is great lunch alternative to eating out or a great dish to bring to a party. People LOVE it. Fresh is best! Gluten Free + No Bake Granola Bars.